PacTrack Courier: Optimized Dedicated Courier Logistics! With over 25+ years of experience, A-list customer service, and state-of-the-art technology without compromising competitive rates, PacTrack is the right choice for all your courier services. As a leader in the courier service industry in Southern California, PacTrack Courier is widely recognized as a fast, friendly, and reliable courier service provider that services all major markets across Southern CA. Every day we have messengers driving through major cities including but not limited to: Santa Monica, Downtown Los Angeles, Long Beach, Newport Beach, Costa Mesa, Irvine, Inland Empire, and all the way down to San Diego! Give us a call now and we can have one of our uniformed fleet drivers on the way to get your parcel and/or package delivered on time, everytime! It’s 3:30PM and you need to make a delivery. Don’t worry about it. For those special circumstances that you need something done now, call us and we’ll find the closest driver near you to get the job done immediately. Our Rush priority type allows our customers the option to place orders between 11AM-2PM to be delivered by end of business day. Place your order in the beginning of your day to save some cost and we’ll be sure to deliver it by the close of business. For orders that need to be completed after-hours, during holidays, or on the weekends, extra charges will apply. As your courier logistics provider, your orders will be managed with 25+ years of experience in the industry. Included within the service, our logistics platform provides our customers with features such as online order entry and real-time tracking, barcoding, electronic signature, route optimization, and Advanced Shipping Notice (ASN) capability with Over/Shortage & Damaged (OS&D) reports. All orders are verified with the time, date, and GPS-coordinates of where the order was completed. 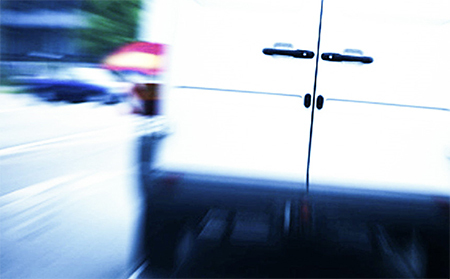 Our PacTrack team is a fast, friendly, and comprehensive courier logistics provider. Make the Switch Today…Contact PacTrack Courier! PacTrack Courier provides around-the-clock courier services. Big or small, PacTrack Courier has the support to handle orders of any size. For those last minute orders, we even have motorcycles on standby!